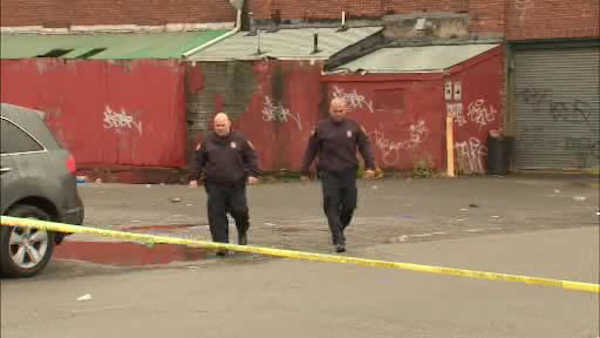 PATERSON (WABC) -- A gunman remains at large after two men were shot and killed early Sunday inside a warehouse in Paterson. Police say there was a crowd of about 30 people in the warehouse when the shots were fired. Two men, 25-year old Fernando Irby and 27-year old Kashif Belfield, both of Paterson, were struck. Both were taken to St. Joseph's Hospital and pronounced dead. There is word that a rave party may have been going on inside the warehouse at the time of the shooting.